Archadeck of Central GA was honored to be asked to build the outdoor decking displays for PMC Building Materials Lower Bay Street location in Macon, GA.
PMC Building Materials serves local area general contractors, remodelers, custom homebuilders, deck builders, homeowners and more, throughout Metro Atlanta as well as the Macon, Georgia markets with construction supplies. They offer an unparalleled selection of building supplies carried in-stock making it more convenient for companies like us to stay competitive in the outdoor living space market. 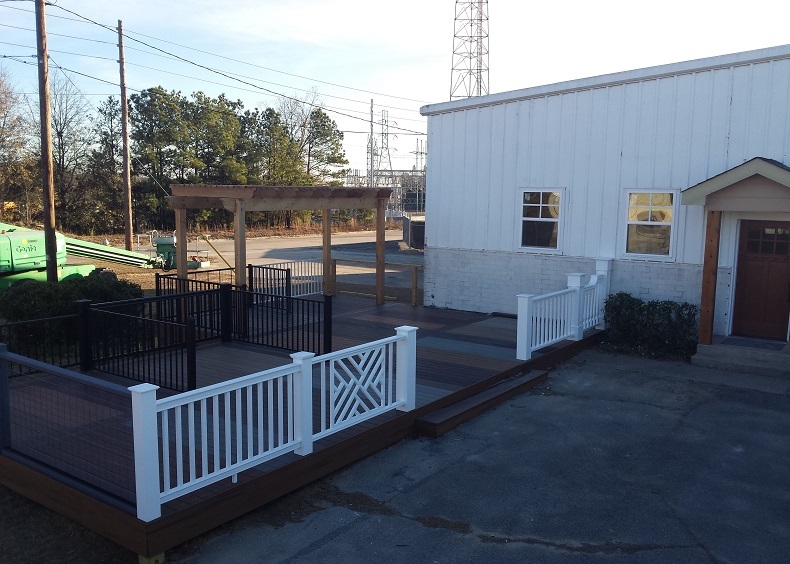 Archadeck of Central GA built the custom display to provide homeowners a place to see and feel these low-maintenance outdoor living space materials realistically. 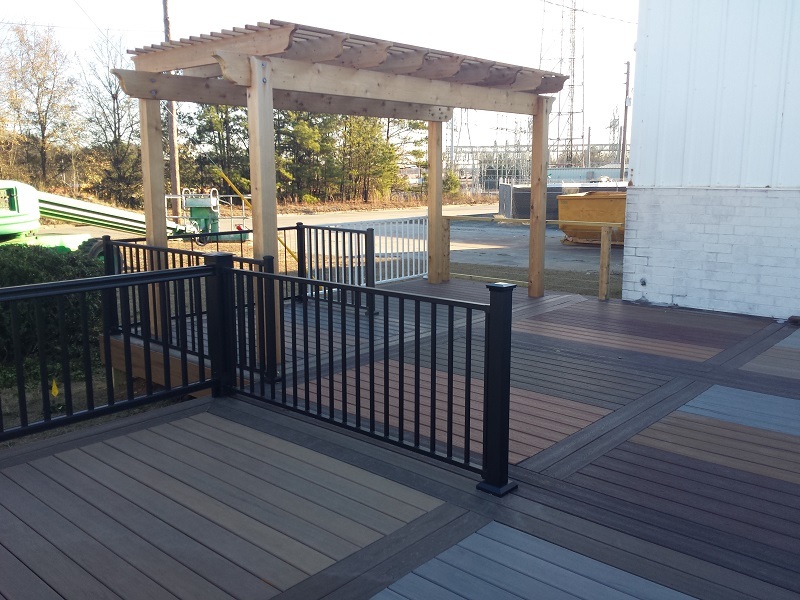 Instead of making a project decision based on a hand-held sample, clients can see various examples of AZEK, TimberTech, Fiberon, Fortress, EverGrain® and more in a space more conducive to actual deck spaces. Taking the realistic impressions a step further, Archadeck included examples of design elements such as picture-framing and parting boards that are used as a way to add depth and dimension to low-maintenance deck designs. We even built a custom cedar pergola as part of one of the displays to serve as an example of the amenities which work in unison with Central GA decks. 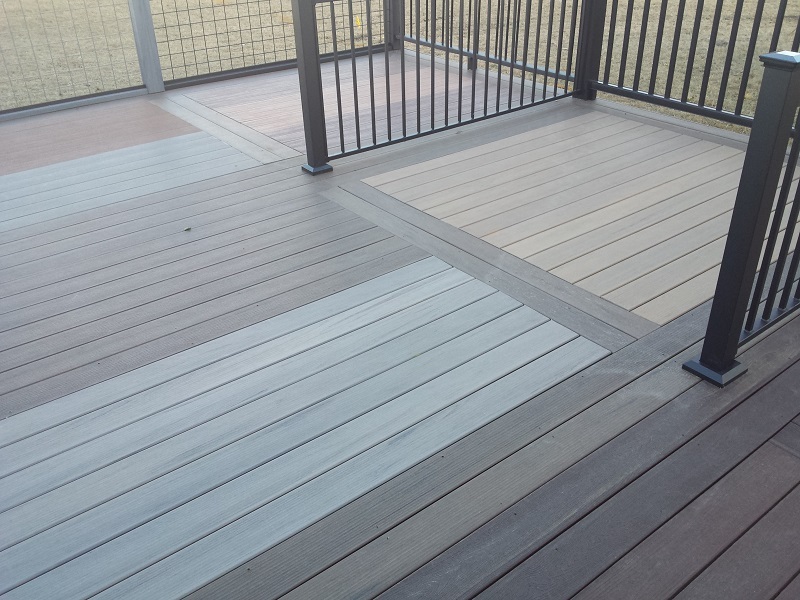 Having the benefit of an expansive decking material display locally will ensure happiness for Macon-area homeowners. In addition, having these materials stocked locally will help keep our project timelines on schedule and our prices down. Contact Archadeck of Central Georgia to learn more about our custom outdoor living structures and additions. 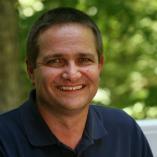 You can reach us by phone at (478) 745 – 2000 or via email at [email protected].